Have fun learning to play the electric keyboard during these one hour long, individual lessons. 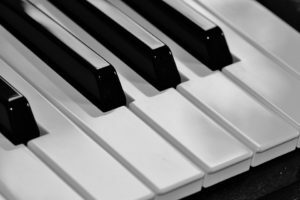 Quickly learn how to play melody with accompanying rhythm and chords together, while learning to choose and operate the features of the keyboard. Beginners or anyone interested in improving their skill is welcome. You will be surprised how easy and fun it is to play music on the electric keyboard! Sheet music is included in the class cost.